A serious outcome of Illinois truck accidents is a traumatic brain injury (TBI). They can leave you devastated. They can leave you unable to perform daily tasks. You won’t enjoy life the same way. Rosenfeld Injury Lawyers works with victims of truck crashes in Illinois and many other states. When we represent those that have suffered brain injuries such as a concussion, we know that they need every resource that the law can offer. However, it is not easy all the time. Sometimes the facts and evidence are hard to gather and illustrate and sometimes the defendants are unwilling to cooperate even though they were at fault. The next few pages show you some issues that arise in truck accidents lawsuits with brain injuries and other types of injuries. If you have more questions, give us a call and speak to any one of our experienced attorneys. 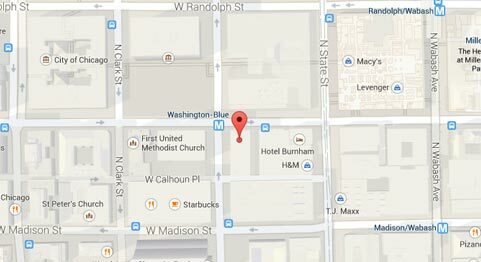 Truck Accident Lawyers That can Assist You in Chicago! Traumatic Brain Injury: Traumatic brain injury is an all-inclusive label applied to any damage to a part of the brain including stem and skull. Symptoms are normally very serious but varied and might not appear for a long time after the event which triggered the damage. Open Head Injury: An open head injury is when a blow does crack the skin, tissue, or skull of a person. These are even more serious than closed head injuries because of complications like infections. Victims should consult their doctors immediately even if symptoms seem mild. Concussion: If a truck accident causes enough force to be applied to your head and brain, then you might suffer a concussion. Concussion effects can range from a mere headache to complete body function loss and many other things in between. Furthermore, they can get worse if you don’t see a doctor. Hematoma: Victims of train accidents experience hematoma when blood forms around brain vessels and collects in the tissues of the skin. It’s like a bruise but its location (i.e. brain) makes it a very serious issue that is hard to detect or treat without seeing a doctor and undergoing various diagnostic examinations. Hemorrhage: Hemorrhage is when someone starts bleeding within the brain, tissues of the skull, or neighboring areas. This bleeding creates pressure which can in turn put someone into a coma or even kill them. Contusion: Victims of truck accidents might get a contusion if tissues begin leaking blood into brain cavities. These buildup over time and get worse and worse so like other brain injuries it is very important to consult a physician as soon as you can. This covers most of the major brain injuries arising out of truck accidents in Illinois or any other state for that matter. To learn about various claims for recovery following an incident like this, and what value your claim might be worth, call us today and speak to a team member of the Rosenfeld Injury Lawyers LLC. The CDC states that three in ten deaths from injuries occur because of a head injury and almost one-fifth of those come from motor vehicle accidents. For people between the ages of five and twenty-five, the leading cause of death is a head injury from a motor vehicle accident. For people between the ages of fifteen and forty-five, the leading cause of hospitalization is a head injury and a goof portion of those come from a motor vehicle accident. Rear-end and front-end truck accidents are the two leading kinds of crashes that produce brain injuries. The most common side-effects of brain injuries from truck accidents are blurred vision, headaches, sleep difficulty, loss of appetite, dizziness, bleeding, disorientation, memory loss, and nausea. These can last for weeks or months. This information might be indicative of your experience or it might not be at all. The important thing is to go see a doctor to find out if you have suffered a brain injury and then go see a lawyer to find out if you have a claim for relief. Our team can help you through that entire process and secure your compensation to the total extent under Illinois law. The defendant owed a duty to you. You suffered recognizable damages as a result. How do you prove these points? Well, everyone owes a duty to operate their car or truck in a safe manner. If they breach that duty and for example crash into you, bump you, cut you off or do something similar, then they have acted negligently and breached their duty. Your task then will be to draw a line from that breach to your injuries. For instance, you might show that their cargo which was unreasonably (read: negligently tied down fell off the truck and slammed into your head giving you a concussion. The only thing you would left at that point would be to show the economic and non-economic damages that arose as a result of this negligence. These damages might include medical bills, lost income, disability, disfigurement, or many other harms all specific to your individual injuries. This would satisfy all four elements to your truck accident claim. The largest components to brain injury claims from truck crashes or other kinds of motor vehicle accidents will normally come from medical bills and intangible injuries. Sure, the defendant should pay for the ambulance trip, ER visit, immediate pain the incident caused, and various out-of-pocket expenses. Yet, this is just the beginning of what your claim should really look like. What you should focus on is showing the prospective manner in which the brain injury will shape your life. Will it cause you to need long-term medical care and rehabilitation? Will it disable you such that you cannot work the same job or recreational activities that you used to be able to perform? Will it cause you pain and suffering such that your quality of life is forever reduced? Most of the time with these injuries in truck accident, victims answer yes to each of these questions. Therefore, you should look to build these into your claim and collect on each of them in addition to the initial shock and damage that results. Rosenfeld Injury Lawyers LLC can sit down with you and review how the truck accident you were in affected your life and what that might mean in terms of recovery. We can shape an effective cause of action that collects on every available form of relief under Illinois law. To find out what you could recover, give us a call today! While the information below is a good starting point for learning about how a truck accident case involving a brain injury may be valued, there certainly are many other factors which deserve to be evaluated. Contact our office for a free review of your truck accident case with an attorney who has experience with a situation similar to yours. Here, a young woman was stopped at a right light, waiting for the light to turn, when another vehicle came screeching behind her. In fact, it was a large truck and it could not stop in time to avoid a collision. It rear-ended her sending her car into the middle of the intersection and wounding her in the process. She suffered a concussion as well as a neck and brain strain. She sued the truck driver and the driver’s employer arguing that the latter was vicariously responsible under the theory of respondeat superior. However, her claim against the company went nowhere because the truck driver was not even working that day. He was just driving around for personal reasons. She was successful against him personally though. The truck driver did not even contest liability. He only denied the amount of damages that she asked for in her complaint. A jury found that an appropriate amount for the crash and her injuries was $80,771. The defendant in this controversy was driving a large tanker truck on a rainy, dark night. He was attempting to turn into a side street so half of his vehicle was sprawled across both lanes. It sat idle there for a few minutes as he waited to completely pull into the alley. During this short break, the plaintiff came driving down the other lane in the opposite direction. Because of the darkness and the truck’s blinding lights, he could not make out that the truck was obstructing his way. He crashed right into it and received a concussion as well as multiple broken bones and lacerations. He sued the truck driver for negligence as well as his boss. The defendants replied that the plaintiff’s negligence overrode anything that they did. Continuing, they alleged that he should have slowed down, kept a better lookout, and noticed the truck was trying to turn into the alley. They initially balked at settlement and seemed content to fight it out in trial. Yet, as the court date approached and the plaintiff’s extensive injuries became apparent, they offered to settle possibly because they were afraid of what a sympathetic jury would award. The victim received $1,600,000. This incident started when a police cop got off of work. He got in his car and started driving to his part-time job. He worked as a security guard at a local manufacturing company. He was not far from the building when he attempted to enter an intersection. Before he could do that, and without having the right of way, a truck turned left in front of him. The sudden turn caused the off-duty police officer to veer off the road into a ditch. His car rolled over and he sustained injuries including a traumatic brain injury. He sued the truck driver as well as the truck driver’s employer because the former was working at the time of the accident. His suit alleged that the defendant driver did not have the right of way, turned when he should not have, and caused the plaintiff’s car to roll into the ditch causing his damages. The defendant replied that the plaintiff was contributorily negligent because he overreacted and that he was exaggerating his injuries. The jury sided with the plaintiff but also apportioned him nearly 20% responsibility for the incident. When you also consider that this is a rather low award for brain injuries, $171,216, it seems as though the jury may have compromised between both sides. Very early one morning on a busy California road, a welder was going to work in his Ford pickup truck. Seeing a green light, he road through an intersection but another vehicle travelling perpendicular to him was late in reacting to the red light and slammed right into the side of his truck. The crash was so great because the other vehicle was a semi-truck carrying two trailers and weighing nearly two tons. The collision sent the man’s Ford flying several hundred feet and rolling into a canal. Of the many injuries the welder suffered, his most serious harms were a brain injury, knee injury, and internal bleeding. This story involved a kid near a mall. He was leaving with his friends on a bike when he entered a crosswalk. He was the first of his group to ride out into the street and unfortunately he was hit by a truck. The boy sustained a traumatic brain injury as well as a cervical sprain because of the accident. Additionally, because of the brain injury, he was experiencing numbness in his leg. This case went to trial because there was a large dispute around who was at fault. The child even acknowledged that he saw the truck prior to the collision but thought the driver saw him. This accident started when a truck driver read-ended a car that then kicked off a chain-reaction crash involving five other vehicles. The woman in the first car hit sued the truck driver for negligence. She said that because if the crash she suffered a brain injury that affected her memory, emotions, and cognitive abilities. Due to these injuries, she alleged she could no longer continue her employment as a store manager. The plaintiff in this incident was a middle-aged man riding a forklift when the defendant ran him over in a truck. Apparently, the victim was working outside moving large equipment for his company. The defendant did not see him or the forklift and, therefore, did not reduce his speed at all prior to colliding with him. The impact sent the plaintiff flying into the air and gave him a traumatic brain injury. He was in a coma for several weeks and suffered permanent disability and memory loss. The subsequent lawsuit charged the defendant truck driver for negligence by failing to reduce his speed, keep a proper lookout, and control his vehicle. Both sides settled this dispute for $4,250,000. Although these topics and the legal system may seem daunting, you do not have to do it all on your own. We can help you like we have helped other truck accident victims pursue recovery through the courts. Plus, we can do it all on contingency so that you don’t have to pay anything if you’re unhappy with the award or settlement. Call us today for a free consultation. We can show you how to get back onto the road to recovery! 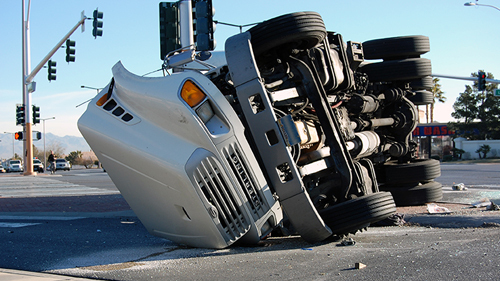 Learn about other kinds of Illinois truck accident injuries. Please read the following pages.